The latest edition of CNN Mainsail covers exclusively th Middlesea Race of Malta held in October. As always, the two-time Olympic Champion Shirley Robertson GBR moderates the magazine. In the latest edition of the CNN-Sailing-Video-Magazine 'Mainsail', the five-time Olympic Medalist Ainslie GBR speaks about his way to success, interviewed by Shirley Robertson GBR (2x Olympic Champion). The 22-minute video is dedicated to the Olympic Classes World Championship in Aarhus (August 2018), with Ainslie GBR starting after 16:50. The oldest shipwreck from Europe's Golden Age of Exploration, found off the coast of Oman, is believed to be that of the 'Esmeralda', which was part of a fleet led by legendary Portuguese explorer Vasco da Gama during his second voyage to India (1502-1503). An article in National Geographics. See also the website of the project. The new Wave contains various boats' tests, interviews with prominent sailors, a.o. the Mettraux sisters speaking about their experiences in the Volvo Ocean Race, an Interboot Friedrichshafen preview, as well as regatta reports on the Fastnet Race, the blu26 St. Moritz Cup and the Little Cup in Geneva. Have a first look at the online version, buying the latest edition of Wave at a kiosk, or, even more convenient, by subscription. Exklusive interview with Ben Ainslie +++ Sailing wiht a handicap ? No problem: Jürg Kaufmann positions Sailability +++ Tested: the Glastron GTS 205 on Lake Constance and the Bavaria Sport 360 Coupé off Barcelona +++ Sailboat presentation: Jeanneau 64 +++ Backstage VOR: Insider news about the sail wardrobes with Bruno Dubois, Teamchef 'Dongfeng' and North Sails Director Europe +++ Much action at the Moth Worlds +++ Fashionable across the Atlantic: Panerai Transatlantik Regatta +++ Wave stylebook: Caban – the jacket of heros +++ Gstaad Yacht Club, a unique global yacht-club +++ La Réunion, a fascinating destination +++ Cruising tip: Galapagos +++ Report: News by bottle post and carrier pigeons +++ Class presentation: 470 +++ Rankings & Standings SWWV. Have a look at the preview in the online pages. The new WAVE Magazine has been published ! The latest edition of the WAVE magazine has been publihsed and its content is commented - as always - in an online preview. To enjoy the full-length articles in the print-edition is of course highly recommended. Get is at a kiosk or even better, place an annual subsciption, ... the easier and more economical way as one WAVE is gratis. » Permanent Link The new WAVE Magazine has been published ! WAVE - Nbr 7 published ! Much to celebrate in the latest edition of WAVE with boatyards, ship chandlers, naval equipment companies having jubilees ! In addition, tests of yachts, reports on holiday destinations and miscellaneous information invite to have a first look at the online version. WAVE is available at kiosks or even simpler with a subscription. » Permanent Link WAVE - Nbr 7 published ! Even without major events during the Northern hemisphere winter season such as the Vendée Globe during the last year, the number of visitors has been increasing more and more. The Google statistics for the first three months indicates a visitors plus of 25%: 31'647 unique visits contacted our pages 117'793 times (without US pages) ... and the season has just began ! WAVE to live sailing life in the latest edition of the print or reading the Get a print edition a every stationary shop to read the articles in full lenght, or even more simple and at an even better price (one number for free), sign for an [URL=wxw.wave-mag.ch/index.php/abo]annual subscription. Enjoy reading on paper or online ! Ten circumnavigations of the world (including three Vendée Globe) and over 400'000 miles has Dominique Wavre SUI completed up to now. 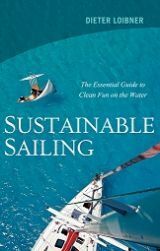 He summarizes now the most important successes of his sailing career and the most intensive moments on the Oceans in a book. In early October, he will personally present his book in two vernissages in Geneva and Versoix. The book (in French) can be ordered online already now. The ISAF Casebook is not only a valuable tool for Umpires and Juries, but also for regatta sailors wanting to groove their racing rules' skills. This document, re-edited every four years, treats over 100 cases and can be downloaded in pdf format or be ordered as hard-copy at ISAF. As usual the Racing Rules of Sailing are reviewed every four years after the Olympic Regatta and amended based of the submissions received by ISAF and approved by Council on the recommendations of the Racing Rules Committee. The English version of the RRS can be downloaded already. A French version is already available, the German version should be ready in January 2013. The changes are minor and deal with items such as crossing the finish line or mark rounding. 'Rules in Practice' by Bryan Willis explains the new rules.